I cannot lie, I absolutely love a cosy Sunday spent in my pyjamas doing absolutely nothing and I'm sure you do too. I could easily do this every day to be honest, and a lot of the time; I do. I thought I was share with you today what I do on a Sunday when I want to relax and enjoy doing nothing or even some of my favourite things. First things first; chocolate, and lots of it! I absolutely love going through my chocolate and eating it till it's all gone pretty much. This sounds absolutely terrible, I know! But I just can't help myself; I find eating chocolate makes me happy so it's the best thing to do when I want to have a cosy day! My personal favourite is Galaxy caramel, but any chocolate will do! Secondly, a candle and an absolutely gorgeous one! I don't know what it is about candles but they make such a difference to an atmosphere and how you're feeling. I know my boyfriend now lights a candle in his bedroom if he wants to calm down and have a relaxing evening. 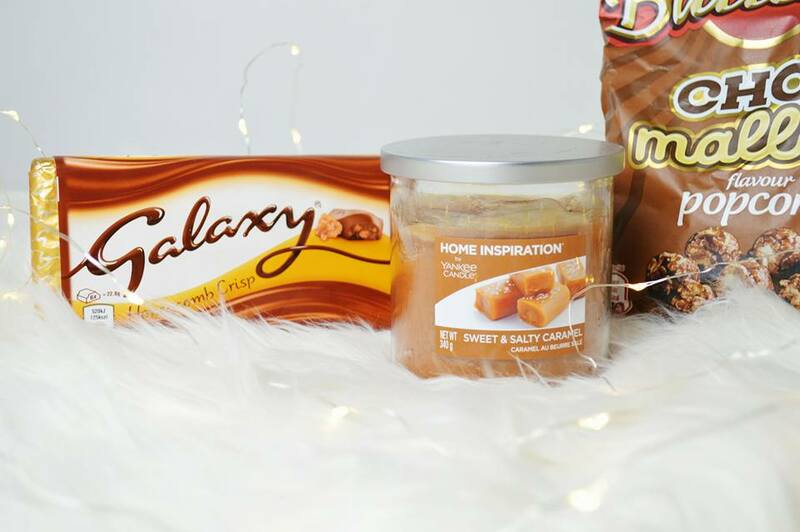 My personal favourite is salted caramel candles; no matter what brand they are by! However the Home Inspiration Yankee Candle's are absolutely incredible! You cannot have a cosy Sunday without a candle lit! Last but not least is popcorn! 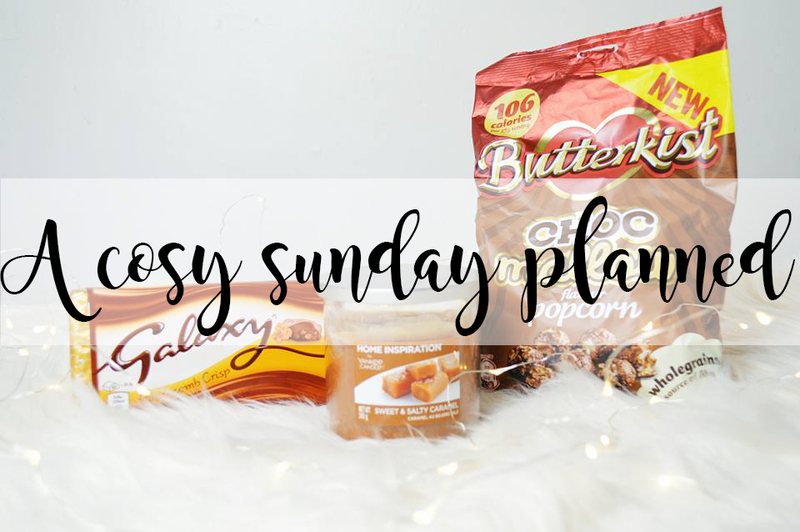 I absolutely love popcorn not only because it tastes nice but because it's the perfect healthy-ish treat for when you're curled up on the sofa watching a movie! 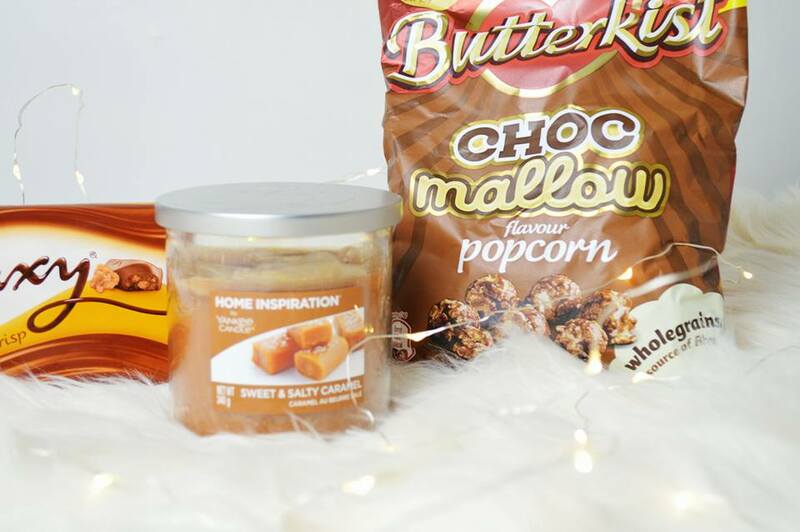 My favourite will always be toffee popcorn however I'm currently absolutely loving Butterkist Choc Mallow popcorn; it's absolutely gorgeous. If you haven't tried it yet then I highly recommend it! However, if you're in the need for popcorn but you want to go for a healthier option then Proper Corn is the popcorn for you! It will be your go to guilt free popcorn! "Every pack of Proper Corn is made using the best quality, GM-free corn. We only pop butterfly corn because of its light and crunchy texture. 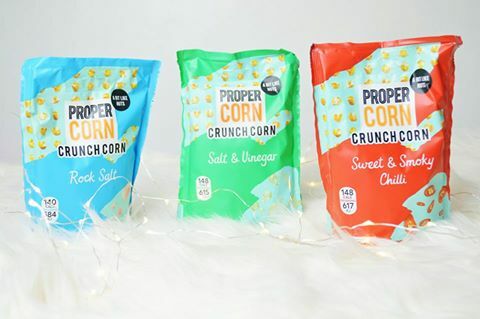 It’s also a brilliant source of fibre".Something I love about Proper Corn is how it's not just one plain standard flavour and there are so many different flavours to choose from; you'll be stuck for choice! What do you do on a lazy cosy Sunday? This post features product(s) which I was sent for review purposes, however all opinions/thoughts are my own. Love this! Candles are my favourite! I even light them during the day if I'm in and it's a dull day. I have one lit now... Just about worked my way through my Christmas chocolate reserves now!